Incorporated in 1995, SMC India is a 100% subsidiary of SMC Corporation Japan, the World Leader in Pneumatics. SMC India has three state-of-art manufacturing facilities in India. SMC offers 12,000 basic products with 7,00,000 variations to accommodate diverse applications of various industries like Automotive, Machine Tool, Food Processing, Pharmaceutical, Printing & Packaging, Mining etc. 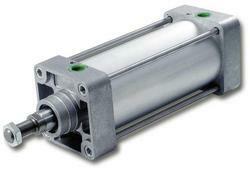 Our company has established itself as a leading supplier and distributor of superior quality Pneumatic Cylinders. The smashed material enters into cylinder screen for screening and tiny husk removing so as to realize smashing, grits and flour milling. It has winnowing system inside which can collect the dark spots and umbilicus efficiently and improve the market competition of the end products. The friction and cutting between the shearing blade and kernels can reduce flour so as to improve grits yield rate and make the grits granules more uniform. As a leading suppliers and distributor of Solenoid Valves, we have been recognized as a trusted name in the market. 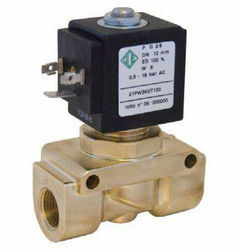 It is a valve type that use an electric motor to open or close its mechanism. This type of valve is ideally suited to very large valve types or remote fluid control applications such as aircraft dicing, agricultural irrigation, and automated fire suppression. Most valve types are suited for motorized applications with some commonly used types being gate, ball, and butterfly. The motorized valve is also well suited to remote flow control applications where system inputs involve incremental valve operation. We are a known name as the suppliers and distributors of FRL Combination. We always ensure the on-time delivery of all of our products. We offer these at extremely affordable rates to our customers. 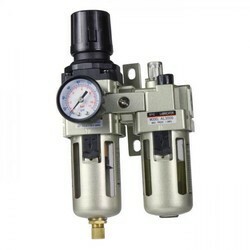 Two-unit and three-unit close nippled and modular filter regulator and lubricator (FRL) combination units provide attractive, versatile air preparation solutions. Our company offers a range of solutions including various pipe sizes, lightweight corrosion-resistant bodies, durable piston or diaphragm design regulators and fingertip lubricator adjustment. Looking for SMC Pneumatics ?